Makeover Monday is back and today we're focusing on ways to makeover our spending practices. Recently we talked about how to makeover our food budget using coupons and today I'd like to share 14 Money Saving Tips that have worked for us. The older I become the more simplicity stands out as a necessity. With so many things vying for our attention these days, it's easy to get distracted without even noticing the everyday touches of grace. But leave it to the economy to bring a new perspective of balance and the need for simplicity even closer. Not only is it good for the spirit, but it's also great for the pocketbook! This is a system I started using in college and it's worked well over the years. I have envelopes for each monthly expense including tithe/donations, utilities/rent/insurance, food/household (which includes vitamins/supplements, dog food, cleaning and personal care items), gas, business, entertainment/gift giving and miscellaneous (misc. is for clothing, accessories or something fun). Some expenses that are automatically deducted, but everything else is cash. Once the money is spent, we're done. If something unexpected comes up, then it's time to get creative (; This system prevents mindless spending...it's so easy to pay out that extra $10 or $20 when using a debit or credit card, but those little increases can greatly add up. I know this can get a little OCD, but I don't even think about entering a store without one. It's much too easy for things to appear in the cart if you don't plan ahead. We've all done it...you need to pick up a couple of little things and come out with a cart loaded because there was a sale. Maybe those extra food goodies popped in the cart because you were hungry during the shopping trip and then you couldn't resist that cute blouse because it would be PERFECT with those shoes! 3. Start a "No Spend Week" and "No Spend Month"
By stocking a Gift Closet and having gifts on hand to fit any occasion, you're always prepared when those little surprises pop up or for the ones that have been long planned. Focus on handmade gifts and gift baskets that can be put together for a custom touch. Looking for deals throughout the year means you'll be paying the rock bottom price for goods instead of the highest price due to last minute shopping. Much like a well stocked pantry, a well stocked Gift Closet will guarantee you have everything needed to celebrate those special days and in a frugal way. Is that tweaked-out smart phone with all the bells and whistles REALLY necessary? Switching our mobile service from Verizon to Straight Talk years ago was a no brainer! $45 a month for unlimited talk, text and data and they operate on the Verizon network which means we're getting the same service for less. With two phones it brought our mobile phone bill down from $135 to $90. This also means we didn't need a home phone since the mobile service is unlimited - an additional $35 monthly savings. If you still want a home phone, try Magic Jack. It works great, only costs $20 a year and comes with free voicemail, free caller ID, free directory assistance and free call waiting. They even have a 30 day free trial so you can try it before you buy it. If you rent and your lease renewal is coming up, see if they might be willing to come down in price. When our lease was up at our previous apartment, I asked if they would be willing to take $75 less with an 18 month rental. To keep a good tenant they gladly accepted. If you're looking for new digs, don't be shy about negotiating. Bring something to the table and let the property owner know why it would be good to have you as a renter. Would you be willing to improve the property during your stay? Are you handy? Get creative and the results may surprise you. Depending on your service, this could save you anywhere from $40 to $135 per month. Now I know this may sound drastic to some, but I have a friend who let go of both and hasn't missed it at all. She hits the WiFi spots when she needs to go online, reads books to her heart's content, listens to the radio instead of watching mindless hours of TV and she's been able to catch up on projects neglected for years. With the ability to catch favorite shows and movies online with our computers, smart phones and iPads, cable isn't as "necessary" as it used to be. If you like the easy viewing of a TV screen instead of those smaller devices, try a streaming player like Roku (for around $50 if you're not a gamer...Walmart sells them too) to watch Hulu Plus ($8) and Netflix ($8). Purchasing both is only $16 a month for more viewing than one could ever need instead of a $100 cable bill...Yes, please! That choice alone could translate into $1000 savings a year! I've written before how we were able to slash our monthly food and household goods budget by using coupons. We spend $200 to $275 a month for food, cleaning products, pet food, vitamins and supplements, personal care, household products and emergency preparedness goods. We would easily spend $200 a week, but with planning, making things from scratch and handmaking our own cleaning/household products, we were able to chop our budget by a 1/4th. A few years ago I rented a storage unit to hold my father's items after he passed away. Because Dad's death was unexpected, I wasn't quite ready to go through his belongings. The plan was to gradually sort things week by week, but those weeks quickly turned into months, which turned into a year. Sometimes we hang onto things like storage units because it's just easier than going through the process. Closing the storage rental saved $50 a month, but it did something much more powerful... the act of cleaning out that unit gifted the opportunity to sort through cherished mementoes and to let go of the grief. We used to eat out at least once or twice a week, but now it's two or three times a month and we use coupons so it doesn't affect our monthly food budget. I'll be writing a post later on how to frugally dine out in style, so keep an eye out for that as well. Clutter not only crowds your physical space, but it takes up mental space as well. Purge, organize and let Craigslist be your best friend (; As you open your living areas you'll be bringing in the green! Go through closets and get rid of pieces you haven't worn in over a year. Search through decorative items and sell things that no longer represent your style. Are your shelves overloaded with books you no longer need? Add them to the list of goodies to sell. What about pots, pans and baking sets sitting unused in your cabinets? Free up that space! And the purging never ends. The "1-In, 1-Out Rule" has served us well. If a new item comes in the house, look for something that can leave. Each week reevaluate your surroundings and continue to post listings as new things are found. If they don't sell after one month, then donate the goods charity. The obvious choice of saving on gas would be to hoof it or peddle it (: Walking and riding a bike not only saves money, but it's great exercise too. If those aren't feasible options, seek out gas perks and fill up when available. Our local grocery store offers feul perks based on the amount you spend. We focus the most of our shopping on that one store anyway, so the most of our spending can go towards earning feul perk credits. By using coupons we're able to get perks on the spending of $800 to $900 while only acutally paying around $200-$275. Plan your schedule and look for the best price. Even though we're temporarily living in NC, most of our living is done several miles down the road in SC. Our church is there, our business is there, most of our shopping is done there and that includes filling up our tanks. NC gas is around $0.35 to $.045 more than SC, so when we're doing business, going to church or shopping, we make sure to fill up the tanks with the less expensive SC gas. With the gas perks, we usually get our feul for $3.25 a gallon and have paid $2.25 a gallon at times. It does take planning, but it's time well spent. For additional savings, keep you car operating at peak level. Check your airfilter, alignment and tire pressure. Make sure your gas cap is secure and get a tune-up if it's overdue. Reduce your speed and stay within the speed limit. Drive smoothly and avoid jack-rabbit starts and stops. Lay off the breaks, lighten up the load and idle as little as possible. These may sound like simple things, but they allow your car to function at it's best and can add to your savings as well. Why would you pay full price for a perfectly good designer suit when the same suit could be purchased for under $15? Shopping here for your little ones is great too! Now is not the time to be snobbish. Some of the clothing donated to Goodwill, Salvation Army or Consignment shops have never been worn and many times the tags are still on the garments. My mother lost a lot of weight and purchased quite a few new pieces from her favorite clothing store only to lose more weight. The newly purchased wardrobe no longer fit. Mom didn't want to spend even more money after the first investment so, off to Goodwill she went! She was able to purchase 1 fitted blazer, 3 pairs of dress pants, 1 pair of jeans, 2 cardigan sets, 4 sweaters and 4 blouses for under $70 and almost all of the items were designer names. She would have easily spent over $500 for the same wardrobe had she gotten them from the original stores. Set a budget, look for basic key pieces, build a wardrobe to suit your lifestyle and spend some of that savings on great shoes that will last. Not only are you spending less, but the money made at these types of stores are going to a good cause and helping the community. This is such a fun idea! Gather together with a group of friends, bring all the clothing and accessories your family has outgrown (or items that aren't being used), spread the goodies out and then go shopping! We have friends who do this two times a year - the end of summer before school starts and the end of winter before the warm weather hits. It's the perfect way to reduce the cost of shopping for school clothes and is a great way to repurpose unused items cluttering up closets. These 14 Money Savings Tips were very easy for our family to implement and dramatically benefitted our budget. By tweaking just a few things we were able to save in a big way. Can you imagine what might happen if you tweaked your food budget, your purchasing practices, reduced the clutter and used negotiation as a tool? That money could reduce debt, increase a college fund, beef up your retirement or even add to your emergency preparedness plan. There are so many ways to go about it, but these suggestions are just a few. 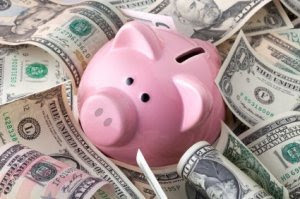 Do you have any money saving tips that have put the green back into you pocket? We'd love to know!